Largest ball point pen – Guinness World Records – YouTube. Bearded men take over NYC for the National Beard and Moustache Championships – YouTube. The cheerleading toddler taking the internet by storm – YouTube. Tallest dog meets smallest – Classics – YouTube. The Strongest Kids In The World – YouTube. Fastest tortoise – Guinness World Records – YouTube. Tallest Married Couple – Guinness World Records – YouTube. 10 Fastest Cars In The World – YouTube. Guinness World Record for typing with your nose! Fastest time to type using the nose – Guinness World Records – YouTube. Most push ups in an hour – Spotlight – YouTube. ▶ Amazing Yo-Yo Skill – Classics – YouTube. ▶ Oldest abseiler at 101 years old takes on the Spinnaker Tower – YouTube. 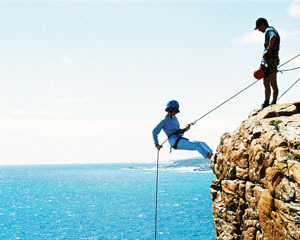 Abseiling or rappelling is the technique of descending through the use of a fixed rope. Fishermen in Peru catch GIANT 26ft manta ray – YouTube. ▶ Zlata Contortionist/ DISCOVERY_CHANNEL_Is_It_Possible_24-03-2010 – YouTube. Man squeezes through tennis racket – Classics – YouTube. Fastest 100m in high heels in Guinness World Record attempt – YouTube. ▶ SPOTLIGHT – Most stairs climbed in 12 hours – YouTube. ▶ SPOTLIGHT – Most consecutive handsprings – YouTube.